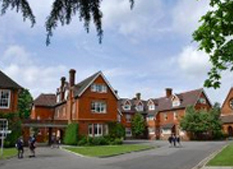 St Catherine’s School, Bramley, near Guildford, Surrey, is a leading UK girls' school. It comprises preparatory and senior (with boarding) schools for girls aged 4 and above. Advanced's multiprotocol MxPro 4 panels chosen as part of The University of Buckingham campus refurbishment. Harvey Nichols, founded in 1831, is a premiere British department store chain with a flagship store in Knightsbridge, London. It sells fashion collections for women and men, fashion accessories, beauty products, wine and food. Elsewhere in the United Kingdom, Harvey Nichols has stores in London, Leeds, Edinburgh, Birmingham, Manchester, Liverpool and Bristol. Overseas it has stores in Riyadh, Dublin, Hong Kong, Istanbul, Ankara, Kuwait and Dubai. 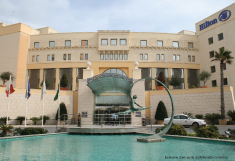 The Hilton, is located in the fashionable Maltese town of St. Julian’s. Decorated in a contemporary yet traditional Mediterranean style, the spacious hotel offers stunning Yacht Marina and sea views. 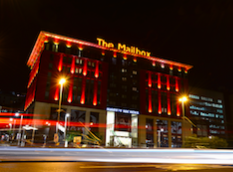 Hilton is an international chain of full service hotels and resorts comprising of 530 hotels across 78 countries. For centuries York has been one of the UK’s leading travel destinations, offering the ideal combination of history, style and culture. 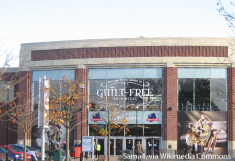 Adding to this mix is York Designer Outlet. Set against the beautiful landscape of the Vale of York, this centre offers a wide range of restaurants, relaxing cafes and over 120 stores. Nestlé is a Swiss food and beverage company headquartered in Switzerland. Nestlé is famous for products including baby food, medical food, bottled water, breakfast cereals, coffee and tea, confectionery, dairy products, ice cream, frozen food, pet foods, and snacks. 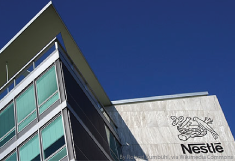 The Nestlé factory in Newcastle-Upon-Tyne is one of 447 worldwide. 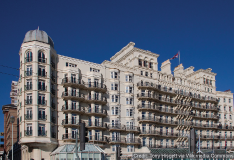 The Grand Brighton is a historic, victorian sea front hotel containing over 200 rooms. It was built for members of the upper classes visiting Brighton and remains one of the most expensive hotels in the city to this day.